The colour-coordinated sliding doors on the front and back form the most striking feature of the Kast storage unit by Maarten Van Severen, which is available in three different heights. 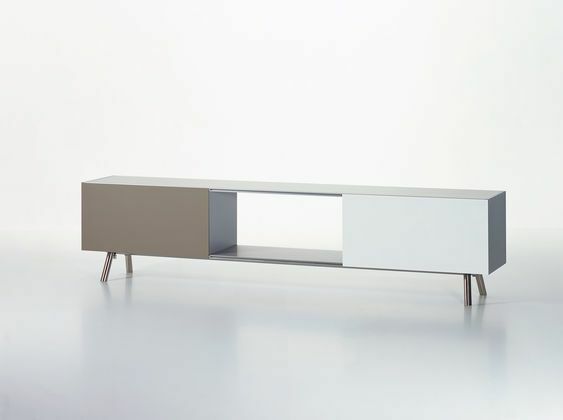 The low sideboard version of over two and a half metres in length exudes particular elegance. The stainless steel legs can be individually adapted to uneven floors. Tubular stainless steel, individually height-adjustable.